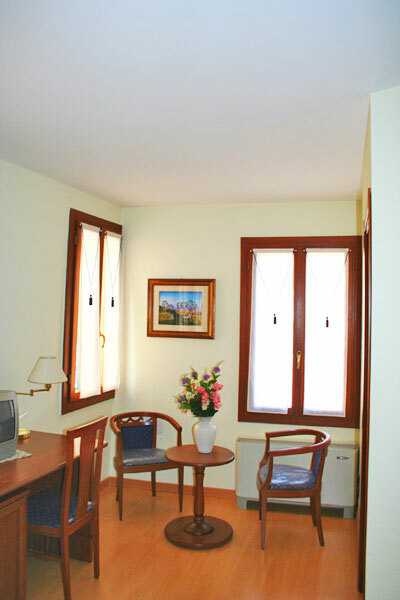 Cà Fontanea is one of the most beautiful inns in the historical center of Venice. Its structure, completely restored, modern and furnished with superior comfort, offers 6 accommodations in single, double or triple rooms. 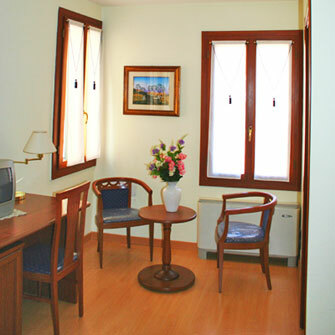 The rooms are well furnished, elegant and spacious, a true luxury in Venice; they are equipped with air conditioning, satellite TV and direct telephone number, in addition to bathrooms with shower (or bathtub) and a useful beauty kit. 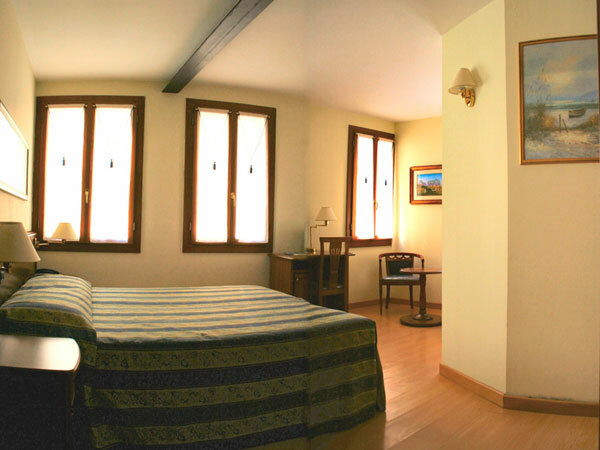 If you are looking for a lengthy stay and the excitement of living as a true Venetians, Cà Fontanea will find you accommodations in apartments for two or more people. 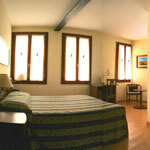 Come and discover the marvelous suggestions of Cà Fontanea! In the quiet district of Cannaregio, Fabio and Beatrice will be glad to give you every piece of advice they have on visiting Venice. Guests at Cà Fontanea can book excursions, guided visits, restaurants and shows simply by requesting them at the reception; in addition, a convenient booklet contains a map and the schedules of public transportation, plus indications in itineraries and museums. Those arriving by car can use the public (paid) parking either at Piazzale Roma or Tronchetto; the Cà Fontanea inn is a few minutes from Venice's automobile terminal; to avoid unpleasant complications and waiting, we advice our customers to inform us about their arrival schedule beforehand. The Cà Fontanea Inn serves a delicious breakfast buffet from 8:00 to 10.00 a.m.; room service is available upon request and for a small surcharge. We suggest the cuisine of the 'Ai 40 Ladroni' tavern with its typical warm, welcoming Venetian atmosphere; its renowned cuisine and likable staff are a guarantee for the inn's guests.